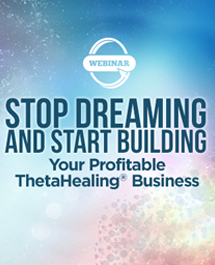 Are you ready to make 2018 your best year ever? 2018 is an 11 in numerology and 11 is a master number, making this a very important year. 11 symbolizes pushing the limitations of the human experience into the highest spiritual realm. It’s the link between human and spirit, the mortal and the immortal, darkness and light, ignorance and ultimate enlightenment. 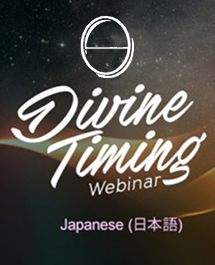 This is the Japanese translation of the webinar. 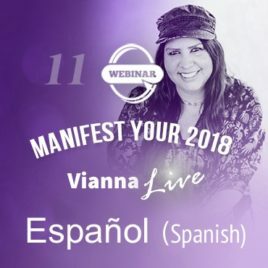 This is a replay webinar done with Vianna in December 2017. Are you ready to make 2018 your best year ever? 2018 is an 11 in numerology and 11 is a master number, making this a very important year. 11 symbolizes pushing the limitations of the human experience into the highest spiritual realm. It's the link between human and spirit, the mortal and the immortal, darkness and light, ignorance and ultimate enlightenment. This is the Spanish translation of the webinar. Please note: All payments are final. No refunds are available.